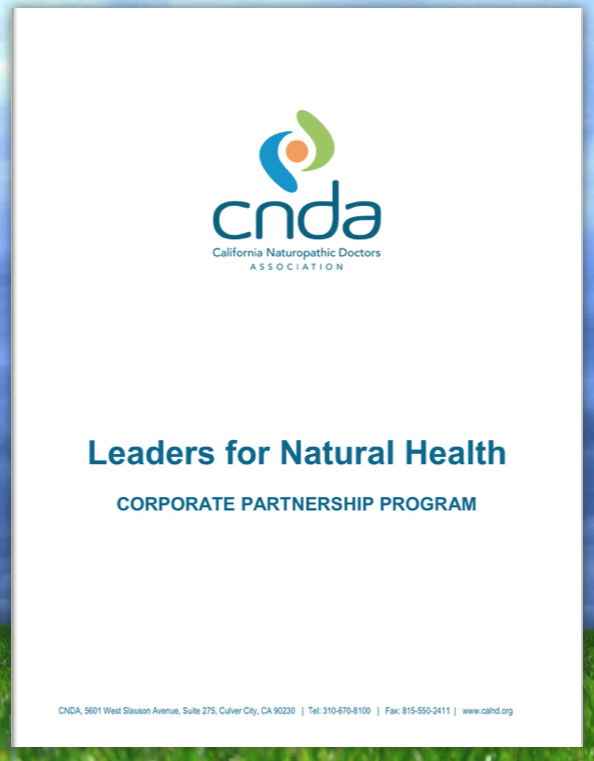 Mission: To advance the field of naturopathic medicine and make integrative healthcare accessible to all Californians. Increase positive visibility and perception of naturopathic medicine. Ensure organizational and financial sustainability and growth. Proactively address relevant legislative and regulatory issues. Support NDs for successful clinical practice and healthcare leadership. Develop a network of positive relationships. to develop positive relationships with other organizations towards the furtherance of our mission.